Although being a pure DPS class is not without some disadvantages, one of the major advantages for us is that we have three distinctly different specs to choose from when it comes to how we want to deal damage. We don’t have the flexibility of hybrid classes, but it doesn’t mean we’re completely without options. Some Mages consider themselves to be a specific spec without reservation. They are an Arcane, Frost, or Fire Mage, and might only play a different spec on rare occasions. Some of us may have a preference, but are completely willing to play a different spec depending on the circumstance. Whichever kind of Mage you are, we’re all going to need to choose early on in Legion which spec to pursue. This choice will have consequences, and so it makes sense to start thinking about it now! First of all, there’s some good news about artifact weapons. 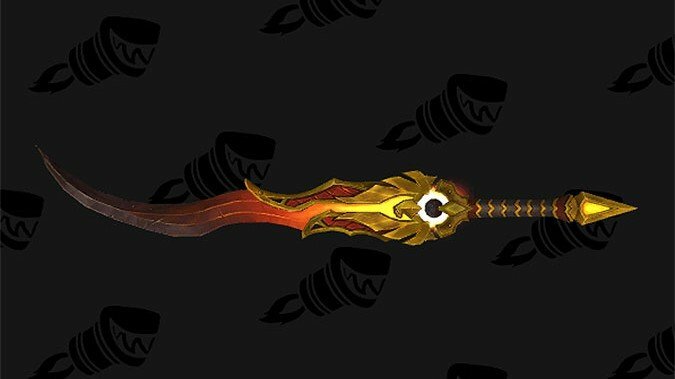 Obtaining a second artifact weapon has been confirmed to be something that happens fairly early in your leveling up experience. 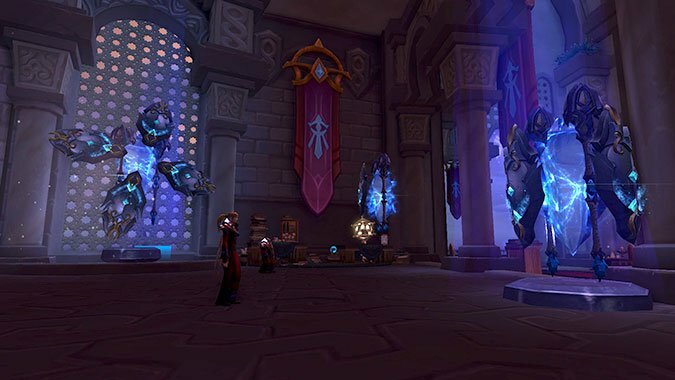 Gaining artifact knowledge is also going to increase the rate at which you gain artifact power and there’ll be as yet undisclosed catch-up mechanics for artifact weapons. So at this point, it’s not as if choosing the “wrong” spec is going to be a fatal, unrecoverable error. Blizzard doesn’t want us to be punished in this way. But it’s still a good plan to go in with your eyes open and choose which spec and weapon you think will work best for you. If it doesn’t, no problem, you can catch up. Overall Legion playstyle: Arcane has had a mastery overhaul which detaches its damage from current overall mana. The new Mastery: Savant keeps the playstyle focused on mana as an important Arcane resource, but there’s more choice about when to burn through it and no penalty if you misjudge and run nearly out of mana. Arcane Charges are now a resource for easy tracking. There are some new and rearranged talents to check out. The addition of cleave to abilities such as Arcane Barrage go some way towards making Arcane a more versatile spec that’s not just suited to single target damage. 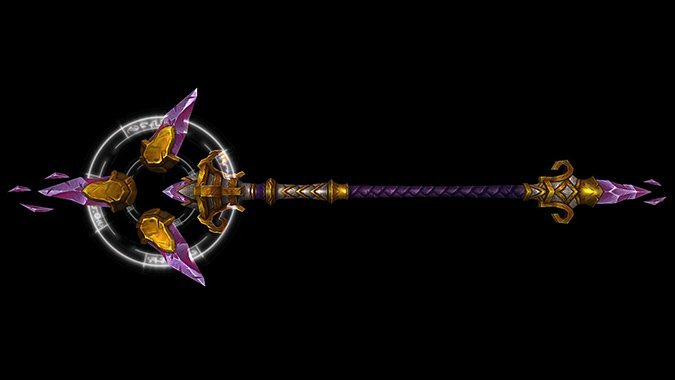 Artifact weapon: Aluneth, Greatstaff of the Magna. 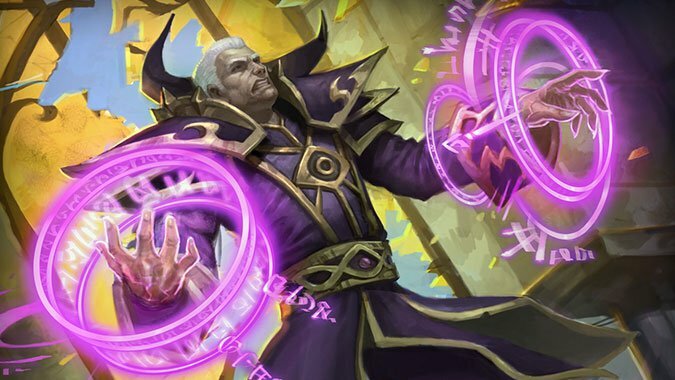 Aluneth’s primary effect is Mark of Aluneth. It’s seen a few iterations through the testing phase, but it is now a targeted ability rather than being cast on the ground. Other major abilities include Rule of Threes, Touch of the Magi and Arcane Rebound. Reasons to make it your first spec: You have a strong attachment to Arcane historically. Arcane can pretty much be guaranteed to perform well and is typically less gear dependent than Fire especially in earlier tiers. You enjoy lore related to Tirisfal Mages. You’d like to be the most magic of Mages. Graphics and visual components: As of this writing, Arcane has not seen any changes to its spell animations. This might be a mark against it in your eyes, in general Arcane has always had the least flashy of the spell animations. Aluneth has a very striking appearance and is a worthy weapon for any Mage. 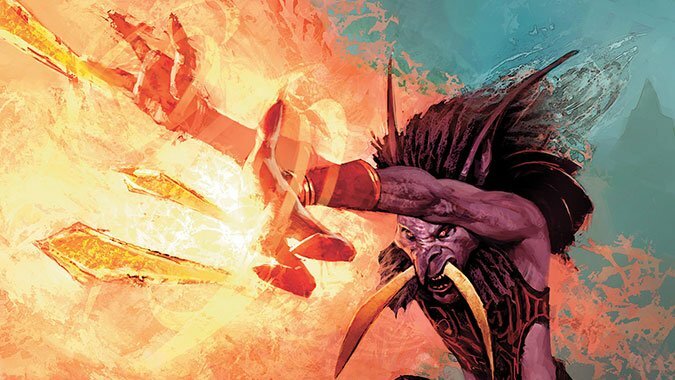 Overall Legion playstyle: The primary core of Fire’s gameplay remains relatively unchanged, though like all the specs there are some new talents and talent changes. One significant quality of life change to note is an alteration to the way Hot Streak! works. In Legion, the instant-cast quality of Hot Streak can be used for either an instant Pyroblast or an instant Flamestrike. This is an elegant solution to the varying needs of different encounters, and brings a welcome flexibility and control to Fire’s significant damage capabilities. Fire’s playstyle will continue to be crit-based, bursty, and capable of sustained single target damage owing to the use of damage over time effects like Ignite and Combustion. If you’ve enjoyed Fire in the past, chances are good the newest iteration of Fire will be equally satisfying. Artifact weapon: The Blood Elf-created Felo’melorn and its accompanying offhand give you the ability to throw a fiery phoenix at your enemies via Phoenix’s Flames. It’s about what you’d expect for Fire Mages, being flashy and also very hot. The other primary Felo’melorn artifact talents follow a similar trend. Phoenix Reborn adds a splashy phoenix component to any target affected by your Ignite. Pyretic Incantation adds critical strike damage to your consecutive critical strikes. Blast Furnace adds a damage over time effect to your Inferno Blast. Reasons to make it your first spec: You enjoy explosions and burning things, but virtually. You like the element of unpredictability about Fire. You don’t mind being slightly underpowered initially in exchange for massive power as your gear increases. You engage primarily in group PVE content or you don’t mind having slightly less solo survivability than other specs with more control elements. You’d like to wield a sword instead of a staff. You just want to watch the world burn. Graphics and visual components: Fire has seen some graphics updates to its spells and they look great. Everything is all sparking and cinders and it’s a joy to see your destructive abilities looking so great. Felo’melorn itself is an attractive weapon, especially if you prefer a one-handed weapon to the more traditional staff look. Overall Legion playstyle: Similar to Fire, you can trust the new Frost is pretty much what you’ve come to expect if you’ve played it before. With massive amounts of control and a reactive proc-based playstyle, Frost reigns supreme in most PVP situations and has come into its own as a viable PVE spec as well. 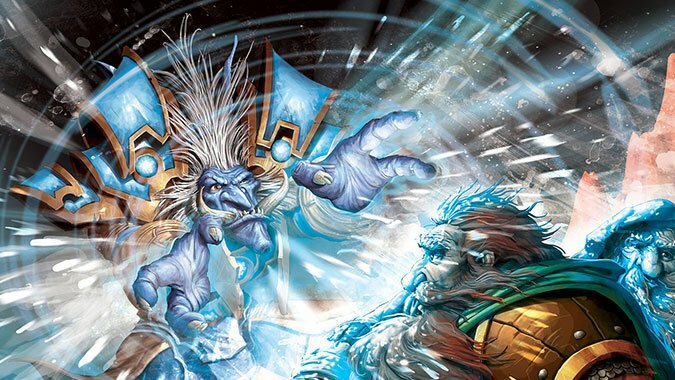 The biggest news for anyone who might have been feeling Frost wasn’t for them because of the characteristic Water Elemental is it will not be mandatory in Legion. If that’s your wish, Lonely Winter is the biggest talent news and it allows you to go truly solo by beefing up your primary abilities and removing the pet entirely. This is going to be a major paradigm shift for Frost Mages who’d felt saddled with the elemental and hopefully the spec will still remain balanced regardless of which you choose. 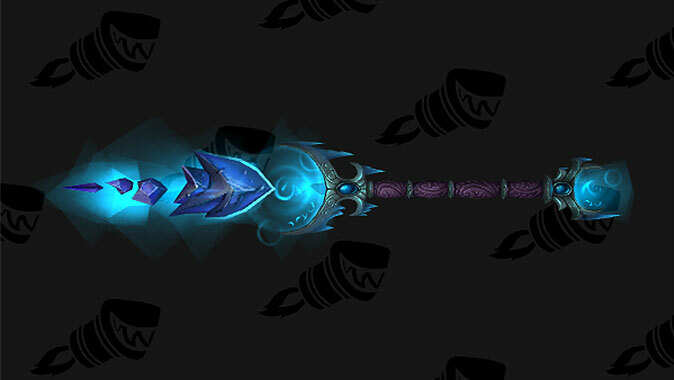 Artifact weapon: Ebonchill, Greatstaff of Alodi is a “black ice” themed weapon. Its primary ability is to change your Frostbolt into an Ebonbolt. Another major talent is Black Ice, giving a chance for Ebonchill to grant additional damage to your Mastery: Icicles. It’s Cold Outside gives your Water Elemental’s Waterbolt a 10% chance to generate a charge of Fingers of Frost, or a flat 4% damage increase to Frostbolt, Ice Lance, Frozen Orb and Icicles if you’re opting to use Lonely Winter. Finally, Chilled to the Core gives you a 20% frost damage increase when activating Icy Veins and encasing you in ice. Reasons to make it your first spec: You enjoy surprising people who are stuck in the past and don’t know that Frost is more than viable in PVE. Your main World of Warcraft activity is PVP and you want the best spec for that. You’ve seen Frozen a few too many times. You’re excited to be a Frost Mage with or without the Water Elemental. You’re Canadian and your natural Frost resistance is already so high that you figure you may as well freeze everyone else, too. Graphics and visual components: Frost has received graphics updates in the Legion testing so far and they look really nice. Some of the new talents such as Glacial Spike also have impressive animations that promise a good visual experience. 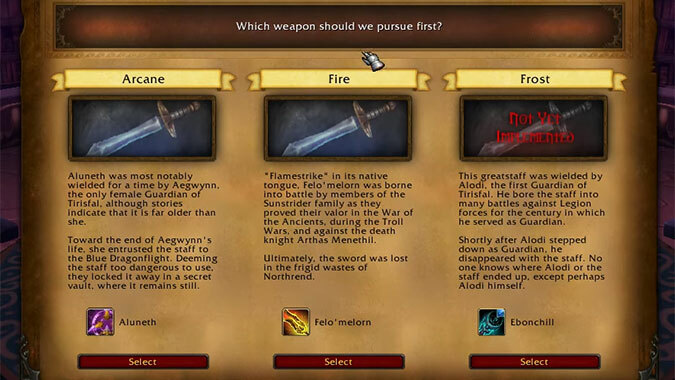 Ultimately, no one can tell you which spec you should choose as your first spec in Legion. You can always change your mind, too, and fortunately mechanics that allow for catching up make it so that your choice isn’t final and comes with only small penalties for switching. But different specs appeal to us all for many reasons and the differing playstyles and visuals of them all can provide a variety of options. That’s part of the beauty of being a Mage.